A new pro football franchise is on its way to S.A. with a head coach announcement to come. SAN ANTONIO - The Alliance of American Football announced a San Antonio franchise Wednesday morning. This comes after months of speculation that the Alamo City could be chosen to host one of eight teams. Longtime coach Mike Riley, who has ties to the Alamo City, is the front-runner to be the head coach of San Antonio’s new Alliance of American Football team. The AAF, which will kick off its inaugural season Feb. 9, 2019, will officially announce San Antonio as its eighth and final franchise at a noon news conference Thursday at City Hall. 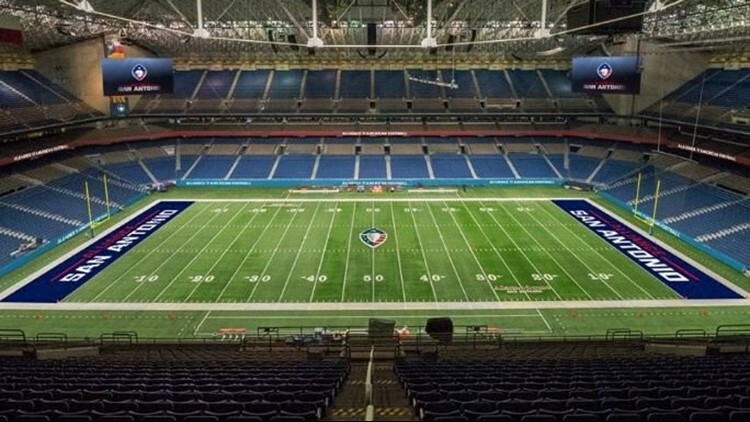 The team will play its home games at the Alamodome. League officials also will introduce San Antonio’s head coach and general manager. Former Dallas Cowboys fullback Daryl “Moose” Johnston, a key cog on teams that won three Super Bowls in the 1990s, is the leading candidate for the GM’s position, according to reports. The eight AAF franchises will have 50-player rosters, and will play a 10-game regular season in the spring. CBS will televise AAF games. Two playoff rounds will follow the regular season, with the title game scheduled for the weekend of April 26-28, 2019. In a Facebook post, the AAF said it would announce it's final Alliance head coach live on Twitter at noon Thursday. Front-runner Riley, 64, coached the San Antonio Riders of the World League of American Football in the 1990s. He also owns a home in the Spring Branch area. Johnston, 52, gained fame as Emmitt’s blocking fullback. He played 11 seasons (1989-99) with the Cowboys. He has worked as a TV color commentator for Fox broadcasts of NFL games since he retired. The AAF also previously hinted in a video on social media that a Texas team could be the final franchise announced.